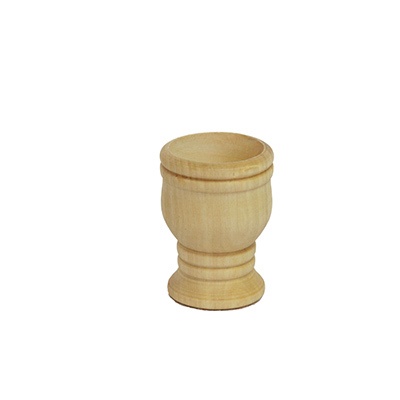 This petite communion cup is made from locally sourced olive wood and crafted by artisans in the Bethlehem area. This unique cup can be used during special services like World Communion Sunday (October 7, 2018) as your congregation participates and gets to have the cup as a keepsake from the Holy Land. It is also perfect to use during personal prayer times, church meetings, Bible study groups and Passover.